Samsung Electronics Co. reported record quarterly profit Friday but its shares tumbled on doubts its mainstay smartphone business can maintain rapid growth. "Because of the marketing costs, the telecommunications business was probably weaker than expected," said CW Chung, an analyst at Nomura Financial Investment in Seoul. "Semiconductor and other businesses seem to have improved from the previous quarter." 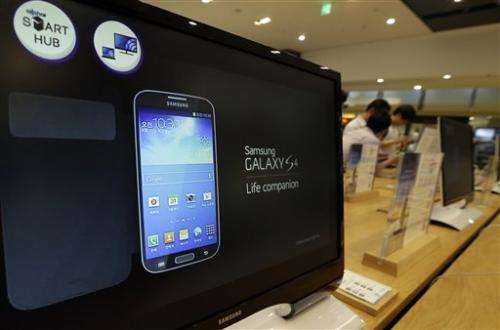 The popularity of Galaxy smartphones has fueled Samsung's year-long string of record quarterly earnings. But worries have emerged that Samsung's profit growth will slow as developed countries, which are the biggest buyers of high-end phones, near a smartphone saturation point. It has become harder to impress buyers with new features in upgraded models as most smartphones offer similar functions. Fewer wow factors in new smartphones mean people will not upgrade as quickly as they did when the devices were still a novelty, forcing device makers such as Samsung to spend more on splashy advertising and marketing. 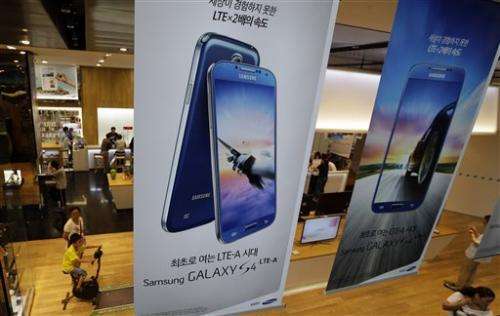 South Korean telephone companies reduced subsidies for new phones this year, which contributed to weaker Galaxy S4 sales in Samsung's home market and higher marketing spending for the handset maker, said Seo Won-seok, an analyst at Korea Investment & Securities. Another concern is that Samsung is increasingly relying on its mobile business for growth. Samsung's division that makes and sells mobile phones, tablet computers and cameras contributed 75 percent of its operating income in the first quarter of this year. 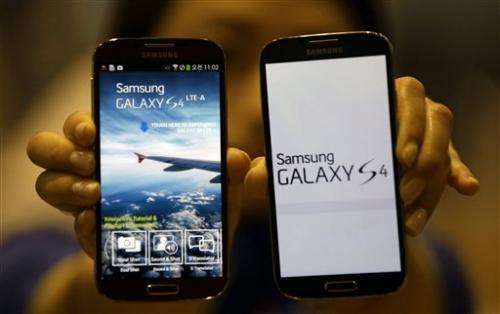 Analysts surveyed by FactSet said 60 percent of Samsung's second-quarter sales likely came from the mobile business. The South Korean company will announce net income and details of quarterly financial results later this month.